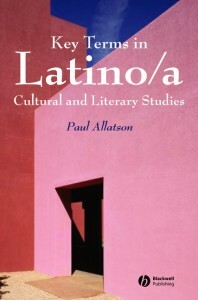 Key Terms in Latino/a Cultural and Literary Studies is an indispensable reference source comprised of hundreds of key terms central to this important and developing field. Allatson, Paul. Key Terms in Latino/a Cultural and Literary Studies. Malden: Blackwell, 2007.